No. 15, Jalan Pengeluaran U1/78, Taman Perindustrian Batu Tiga, 40150 Shah Alam, Selangor, Malaysia. 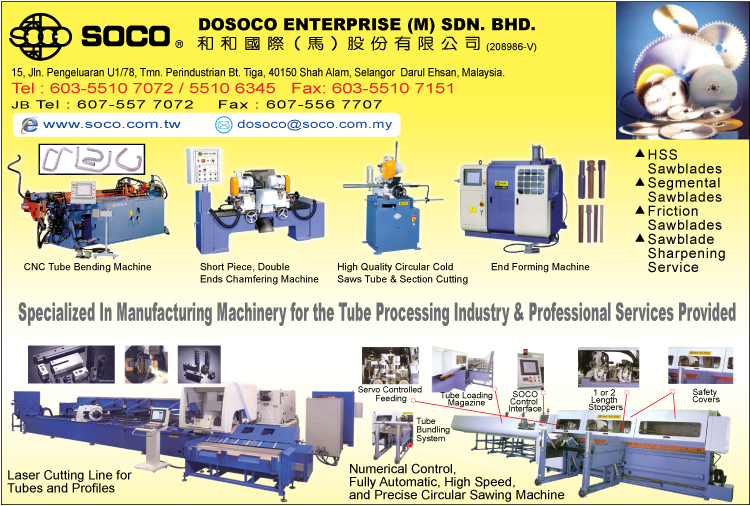 SOCO Headquarter is located in the Taichung Industrial Park, the largest machinery industrial area in Asia, just 2 hours from Taipei. With several production facilities around the world and over 40 active agents in all major continents, SOCO continues its pursuit of excellence and leadership with the continuous support of its customers, partners and families.